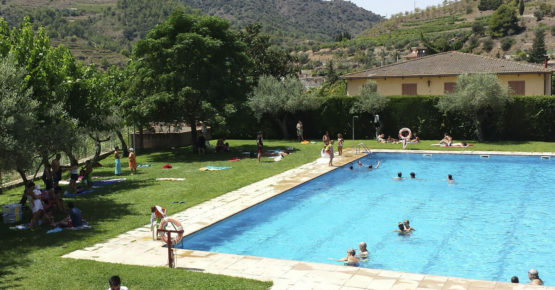 The swimming pool in Porrera is open fron 24 June to 11 September. Opening times are from 11.30 to 15.00 and from 16.30 to 20.00. There are changing rooms, showers and a bar. 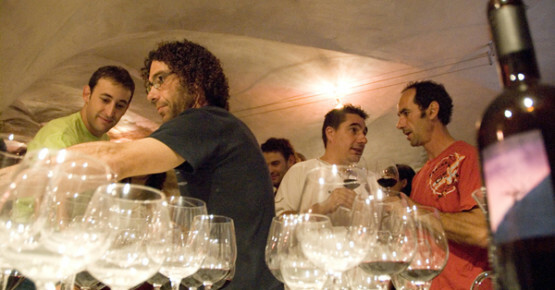 We hold wine-tastings for beginners and professionals in Cal Porrerà’s cellar led by an enologist. Although we suggest a combination of Porrera wines, wine-tastings can include any wines with the Priorat DOQ, if requested beforehand. We also do vertical wine-tastings (different vintages of the same wine). Maximum of 10 people. For larger groups consult prices. The price of a wine-tasting with four wines (see list below) is 220 € per group of 10. We begin with a white wine or young red followed by two other wines representative of the Cellar and end with one of the Cellar’s top wines. Other combinations (consult prices) are permitted. The wine-tastings take about 2 hours. * Free wine-tastings for clients who book two nights over a weekend. Cal Porrerà has a large room for yoga courses, pilates and other activities, it is centrally heated and has wooden floors. It is also a spacious and relaxing place for business meetings and other creative activities. Contact us and we will let you know what courses we are running. 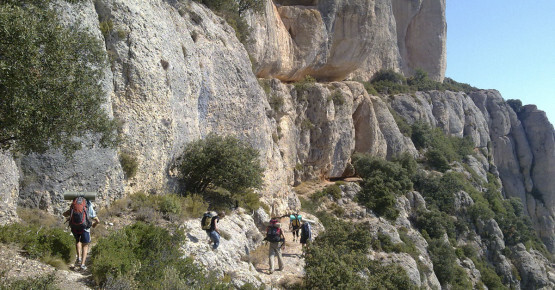 We organise excursions to the Montsant, wine and oil routes, either by car or on foot through the vineyards. 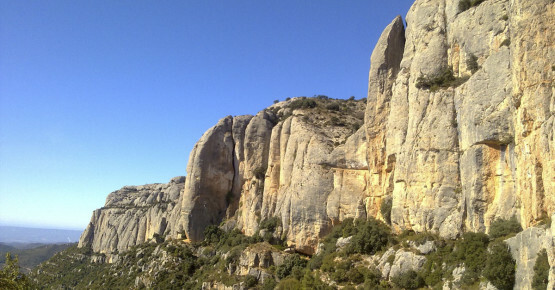 Wine-tasting and visits to the cellars both DOQ Priorat and the DO Monsant; cultural visits, etc….at no added cost. Tresc&Vi, enjoy, experiment in and taste the Priorat region (excursions, photographic and theatrical activities …. ) with guided visits and wine-tastings at cellars in the area. From midday outings, holidays gifts … all completely personalised. A whole world to savour and discover! 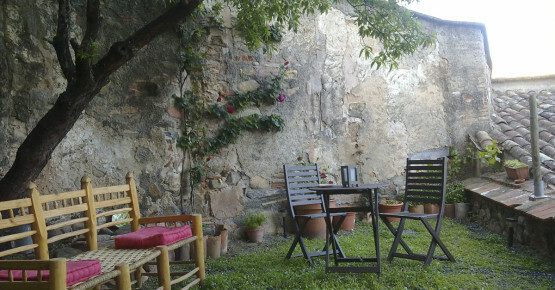 You can take a look at our suggestions at Enoturisme al Priorat. At Cal Porrerà we have a space for parking bicycles as well as maps with suitable cycle routes. 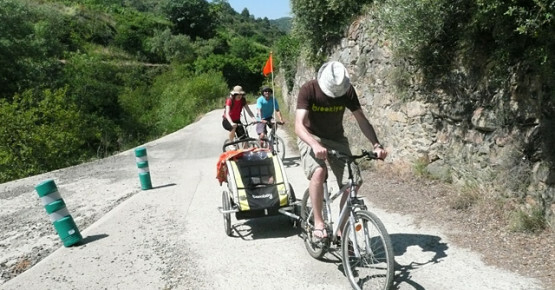 A pleasant, easy riverside walk through the vineyards and olive groves. 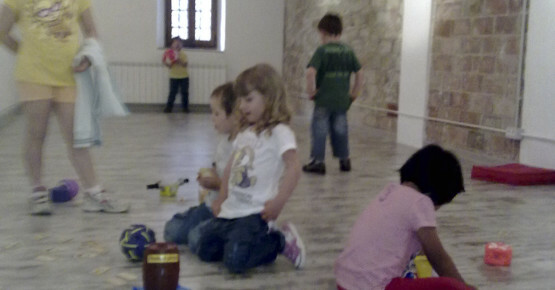 We offer individual or group babysitting services to facilitate visits to cellars, wine-tastings or for dinners out at the range of top restaurants available in the Priorat region.